This is the 'Front Page' of my website. I hope you like my website. I just thought that I should have a website. It is designed to be a retired academic's website. It is primarily an exercise in learning CSS3, HTML5 and PHP. It also serves to keep my CV somewhere. Having started, the first question was, what should I include in the website. The navigation bar shows the menu. This page and the links to submenu tell you all about me. It describes my Curriculum Vitae, my days in Bombay, my experience of studying with Open University for a degree in Computing and IT' and the modules I studied at Open University. My interests and hobbies are also detailed. These pages describe my migration to Open source computing and adoption of the Linux Desktop. I hope to describe why and how I migrated from microsoft to Open Source Linux. 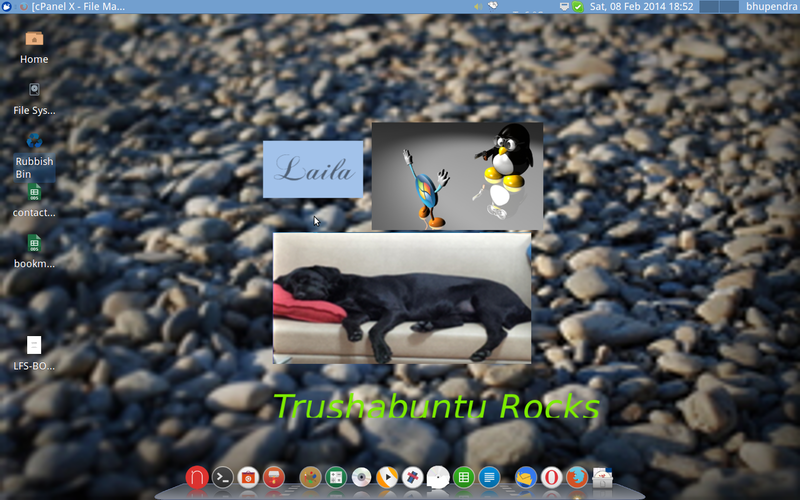 I also hope to describe the various Linux Desk-tops I experimented with and why I prefered Ubuntu. 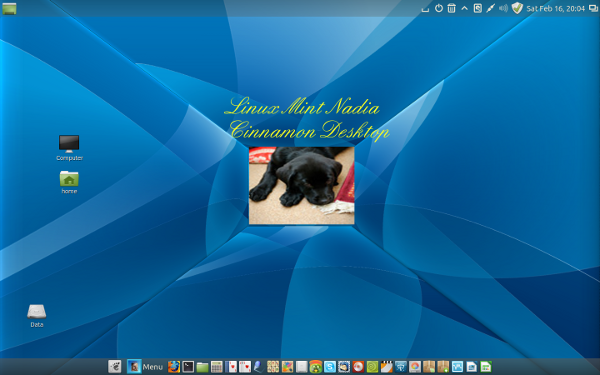 I have recently (since December 2012) moved to Linux Mint Nadia.I have also installed Virtual Box on my Ubuntu Desktop. This allows me to try out various Linux Desktop flavours.In October 2012, Ubuntu 12.10 aka Quantal Quetzal was released. Although I liked the unity desktop environment, I found that it kept crashing. Several applications would crash with an error note requiring me to start again. So i had to, very sadly, move over to Linux Mint Nadia. I now have(since January 2014)Linux Mint 16 also known as Petra installed on one partition and Xubuntu 13.10 installed on another partition. I have also experimented with arch linux and successfully installed Arch Linux with XFCE4 desktop on one partition as well as in virtual Box. If you still hanker after the unity desktop but find ubuntu 12.10 too buggy, no problem, you can install unity in mint. All you need to do is "sudo apt-get install unity gnome-session" in the terminal, logout and select ubuntu from the drop-down menu at login. You will get ubuntu desktop on Mint as shown in the second image above. Just goes to show how customizable Linux is. 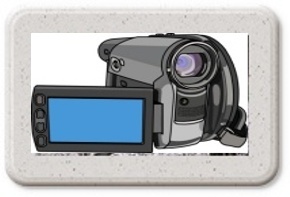 I hope to do screen casts of my current linux distros on the video page. I have also tried Manjaro an Arch Linux-based distro with KDE/XFCE It is quite nice, but needs getting used too. Of all the flavours of Arch, and tinycore linux, I managed to install Manjaro as well as Arch Linux successfully. The others, Cinnarch,archbang and tinycore all worked well with virtual box, but did not quite install on a partition. I guess, the problem was with the ati-video drivers. Arch Linux itself works quite nicely. I would install Manjaro in place of Ubuntu flavours if/when Ubuntu is no longer an option. I have now installed Xubuntu 13.10, Fedora Heisenbug(Fedora 20) and Mageia 4 on different partitions. The latter 2 are KDE desktops. The logic behind installing three different flavours of Linux was that all have different package managements. Fedora and Mageia are RPM based where as Xubuntu has apt or debian based package management tools. Although, Xubuntu is the best in terms of ease of use, especially if you are just an end user with limited knowledge of computing, Mageia looks very stable and beautiful. Fedora also looks good. This page is a record of how this website was designed. I also hope to write blogs on various topics, including Linux and Ubuntu and also other things such as holidays in UK and abroad. If I wish to encourage discussion on anything I write about, I guess I will have to have a comments page and a contact page; that will be some time in future. After all this is only a hobby and I have all the time in the world because I only work part-time. This page has video clips in HTML5. Unfortunately, Internet Explorer, the web browser on Microsoft windows does not support HTML5. You will need to download Firefox or Google Chrome to play the video clips. This link will take you to my weblog. It was created by including wordpress as a subfolder in this site. If you wish to know how it was done, click on the blog link on the right side-bar. Finally, I visited several sites to get the CSS3, HTML5 and column layout right, especially the sidebar on the right. I am grateful to all those kind souls who are so willing to part with their knowledge. The template used for this website is a modification of the template "Cowboyup" downloaded from Free HTML5 Templates for which I am especially thankful. I use Linux Mint16 Petra and Xubuntu, both with Cairo-dock.